You are here: Home / Family Living / Parenting / Heatstroke Prevention Tips! 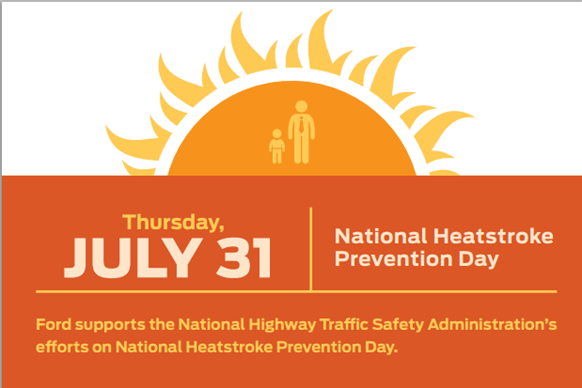 July 31st is National Heatstroke Prevention Day and boy, I will say if there is one thing that always boggles my mind it’s when I hear of a baby or pet left in a hot car! What in the world are people thinking?! Especially here in Texas! It seems absolutely incredulous to me that I would need to actually share these tips – what happened to common sense?! · In 2013 alone, 44 children in the United States lost their lives after being left in unattended motor vehicles. 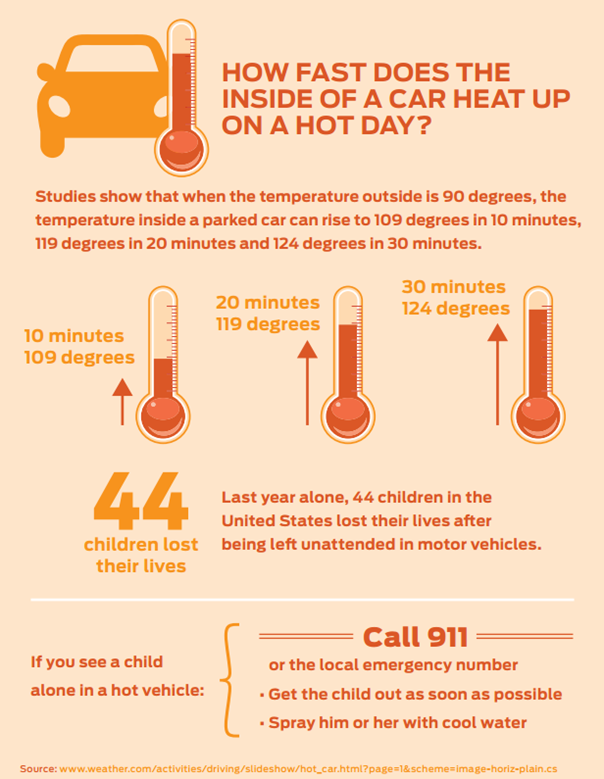 · Studies show that when the temperature outside is 90 degrees the temperature inside a parked car can rise to 109 degrees in 10 minutes, 119 degrees in 20 minutes and 124 degrees in 30 minutes.